It's been a week since we came back from Ireland. Sadly, I got sick during the last two days of our vacation, so I've been nursing a cold since we got home. Thus explains my absence in the blogging world. Kepi and I really enjoyed Ireland. The scenery is incredibly beautiful, but the Irish weather can be pleasantly sunny at this hour and unpredictably rainy in the next. If you do find yourself on Irish soil, it is wise to keep an umbrella or a raincoat handy at all times. Our 11-day vacation in Ireland took us to Dublin, Galway, Killarney, Cork and the Antrim Coast of Northern Ireland. On this trip, we tried not to pack so much on our itinerary so we were able to leisurely explore the west coast of "The Emerald Isle". Dublin is just a six-hour plane ride from Maryland, so we know we're going back to explore the rest. 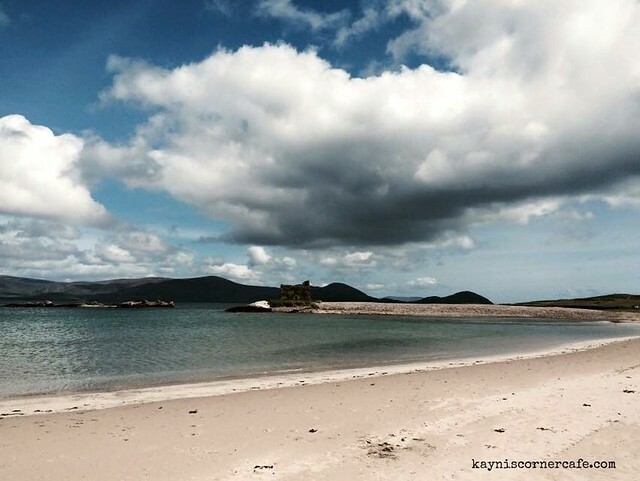 The 16th century McCarthy Stronghold or Ballinskelligs Castle watches over the beautiful Ballinskelligs bay. The Castle is named after the McCarthys who where known chieftains of Cork and Kerry. The place was so quiet when we got there, and if time allowed, I would have preferred to camp and spend the night there. 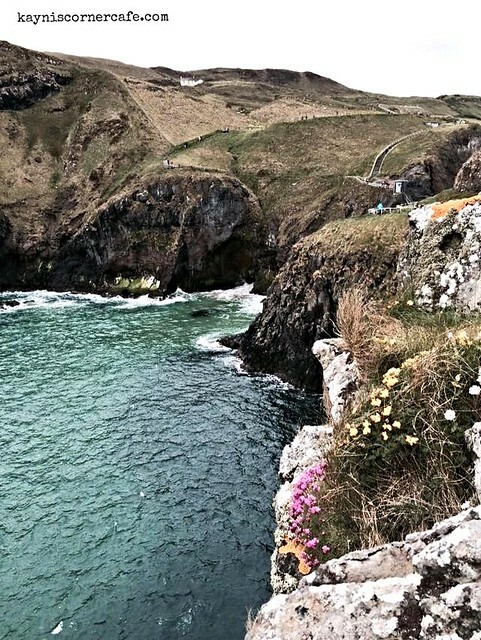 This photo was taken at the small rocky island of Carrick near Ballintoy in County Antrim. To get here, you have to cross the Carrick-a-Rede Rope Bridge which spans 20 meters and is 30 meters above water and rocks. It was so windy when we crossed the bridge. I saw a lady who needed to be escorted because she started panicking in the midst of crossing, and there were a few who turned back. The rewards of crossing this bridge are views of the unending sea, the beautiful and strong Irish Sea Pinks and other flowers that grow on the cliffs, Rathlin Island and a glimpse of Scotland. Amazing trip and amazing pictures. Thanks for sharing. By the way, hope you get better soon! Thank you, Joy. I am starting to feel much better. Wonderful photos! Hope you feel better soon. I'd love to visit Ireland some day. Wow -- so beautiful! It's been a long time since I was in Ireland. HOpe you feel better soon. Feel better quick. I cannot wait to see your photos and read about your stories of this wonderful trip. Did you know that since childhood the country ( the very first one) that I wanted to visit is Ireland? Beautiful scenes from Ireland. I really want to visit Ireland someday. Have a happy day! Wow just 6 hours and you are already in Europe? That's amazing. Great shots, as usual. Hope you are on the mend by now. Oh wow, I so want to visit Ireland. So glad you enjoyed it. beautiful! Killarney, i remember that from an own trip to Ireland, a long time ago. thanks for sharing. have a lovely sky week! Beautiful pictures. Nothing that I recognized but it did bring back fond memories of my trip there. Hi! Nice vacation in Ireland. I like the first photo very much.I hope you recover soon. Thanks for sharing.